China Briefing breaks down key aspects of China’s trademark regime to help foreign investors make the right decisions that can help protect their brand in the mainland. Last December, Samsung live streamed its announcement of an exciting new collaboration with Supreme, the international hype streetwear brand. Supreme was to open a “flagship store in Shanghai” and “participate in a Mercedes-Benz runway show”. There was just one catch. The brand wasn’t the original, Supreme New York, and Samsung’s digital marketers were left scrambling for a response. That’s because the company Samsung had been talking to were Supreme Italia, which hold product retail and marketing authorization in the Asia-Pacific region, except in Japan. The original company based in New York, had already run into trademark disputes with the Italian brand in other jurisdictions. Well-known brands often don’t need to register their trademarks, but China’s laws follow a first-to-file system. It also does not recognize trademarks registered in other jurisdictions. Moreover, in this specific case, the name ‘supreme’ being a descriptor complicated the situation – since the 1990s, over a hundred applicants have filed for trademarks using the name ‘supreme’ in China. Samsung ultimately chose to drop the collaboration; benefiting from legal loopholes in the trademark law would have set a bad precedent. 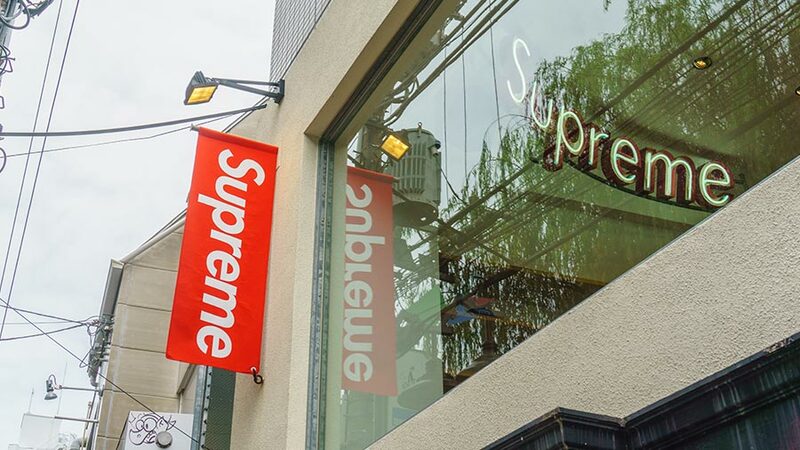 On its part, Supreme New York announced in early March that it was seeking legal recourse over its trademark infringement in China. Since China only acknowledges trademarks registered within its own jurisdiction, this is a key legal step for foreign companies. If the brand is well-established, it will most likely encounter trademark squatters, counterfeiters, or grey market suppliers. New Balance, the American sports footwear brand, fought against rogue manufacturers and sellers for over two decades before finally winning its trademark rights in China in 2017. 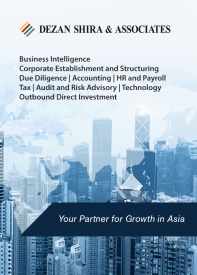 It received the highest payout in damages for a foreign company in China. However, without registering the company trademark in China, adjudication is unlikely to produce positive results, and will be time-consuming and costly either way. Companies that take the risk of operating in China without a registered trademark in the region can easily lose their infringement claims, irrespective of whether they legitimately sell goods in other countries under that brand or even if they manufacture in China to sell elsewhere. Interestingly, such companies also risk being sued for infringement by trademark squatters themselves. Finally, having a Chinese trademark protects businesses from grey market suppliers and knock-off sellers online and enables the seizure of copycat goods by Chinese customs. How does China define a trademark? Globally, a trademark sign identifies the specific or primary use of a particular good or service, allowing consumers to distinguish between the goods or services of different producers. The mark may be composed of words, devices, letters, numerals, three-dimensional signs (shapes), color combinations, or a combination of all of the above. The mark must be legal. It cannot be identical or similar to the name or flag of a state or an international organization. It cannot discriminate against a nationality or indulge in exaggerated or fraudulent advertising. The mark must be distinctive. It must be easily distinguishable from the producer of other goods and services. The mark cannot be functional. China does not accept marks that refer to the nature or model of the good or service itself – a company selling apples will not be able to register an apple or an image of an apple as generic names are free to be used by all. The mark also cannot sabotage competitors by referring to a technical effect, thereby confusing consumers when choosing a product or service selling the same or similar technical effect. The mark must be available for registration. The CTMO’s official trademark database is available online and can be used to search existing trademarks. The database covers preliminary approvals, final approvals, renewals, and modifications of all trademarks and is available in Chinese and in English. The company must either directly file an application with the China Trade Mark Office (CTMO) or file the application through the World Intellectual Property Organization (WIPO). If choosing the latter, the trademark application must be based in the country where the mark is currently registered. While China accepts the International Classification of Goods and Services under the 1957 Nice Agreement, it further divides these classes into subclasses. For example, general footwear and boots belong to different subclasses in China, so the same trademark can be registered by different companies in each subclass if these subclasses are not deemed as similar. Thus, it is crucial that the applicant’s trademark covers all the relevant products and services – in each of the subclasses – pertaining to the business’ scope when filing for registration. From January 1, the 2019 version of the Nice Classification table has come into effect. Existing trademark rights holders in China should adapt the specifications in their original filings to the latest Chinese classification table. Changes in the latest version include updated specifications of goods and services and the addition of new products and services. Foreign firms entering China should be aware that their trademark in Roman characters will not completely protect them against infringement. The same or similar trademark can be registered in Chinese characters by another business. This is also key to a business’ profitability and image in China. If other firms or the public informally uses your trademark in the locally-spoken language, there are chances of losing customers and diminishing your brand value due to the meaning, the pronunciation, or even the appearance of the Chinese characters. Illustrating this is the experience of luxury clothing brand Ralph Lauren in China, whose label has been referred to by the Chinese name ‘San Jiao Ma’ (三脚马) that translates as ‘three-legged horse’ – the name being created out of the designer’s logo. On the other hand, the Chinese word for Coca Cola is ‘delicious happiness’ – not a direct transliteration, but effective in establishing the right brand reputation. Coca Cola didn’t get it right the first time though – initially, it used the name Ke Dou Ken La, which translated into something along the lines of ‘bite a wax tadpole’ (蝌蚪啃蜡). Another interesting example is the case of Toyota and Mercedes-Benz in the auto market. In Chinese, Toyota could be translated as ‘thriving’ (丰田); Mercedes-Benz, however, faced difficulty when it entered the Chinese market as its name ‘Bensi’ got translated as ‘rush to die’. The American electronics group Best Buy is also a good reference, when learning from branding mistakes in China. While multiple factors may have led the company to wind up its operations in the country after five years, its name certainly did not help its cause. Best Buy’s trademark name in China used the characters ‘百思’, which combined the sound of the word ‘best’ and the direct translation of the word ‘buy’ (买) – all of which unfortunately got translated as ‘think a hundred times before you buy’. What are the benefits of directly submitting a trademark application with the CTMO? Foreign applicants must submit their trademark applications with the CTMO through a register agent – if they do not have a residency or place of business in China. The reason why this system is preferable is because it gives businesses greater control over the registration process, particularly in the determination of which class and subclass to file under and what types of products and services will be covered by the trademark. In the case of filing for a trademark through the WIPO, it is the examiner who decides the subclasses that are covered by the mark. How to choose a Chinese trademark name? Foreign applicants must register the Chinese version or a direct translation of their trademark to avoid any miscommunication or infringement. Literal translation: This works if the mark has a distinctive meaning. For example, Apple Computers chose to trademark ‘Ping Guo’ (苹果), which is Chinese for ‘apple’ and Palmolive is known as ‘Zong Lan’ (棕榄), which is a combination of the direct translation of ‘palm’ and ‘olive’. Brands that choose this option will need to invest time and money in marketing and building the association between the Roman character trademark and the Chinese character trademark. Phonetic translation: This involves creating a Chinese character name that sounds like the original / Roman character trademark. For example, McDonald’s is known as ‘Mai Dang Lao’ (麦当劳) to Chinese consumers, Siemens goes by the name of ‘Xi Men Zi’ (西门子), KFC is known as ‘Ken De Ji’ (肯德基), and Audi is known as ‘Ao Di’ (奥迪). Such a strategy works if the brand has an established reputation among Chinese consumers. This is trickier than it appears as the Chinese characters could mean something undesirable in one or more of the language’s six major dialects. Combining a literal and phonetic translation: Where possible, this strategy could be the most effective. Here, the trademark name is created by making reference to the sound of the Roman character name and either a defining trait of the brand or a positive Chinese cultural reference. Examples include Coca Cola, which goes by ‘Ke Kou Ke Le’ (可口可乐) meaning ‘taste and be happy’; BMW, which goes by ‘Bao Ma’ (宝马) meaning precious horses and reads as initials ‘BM’; and Fuchs, which in German translates as fox and in China goes by the name ‘Fu Si’ (福斯), which translates to ‘good luck and blessing’. What is the time taken to register a trademark in China? 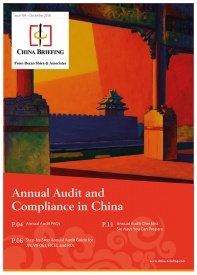 Monica Li, Assistant Manager, Business Advisory Services, at Dezan Shira and Associates’ Beijing office explains, “the trademark registration process in China can take up to 15 months – from the date of filing to preliminary approval and publication.” However, this period does not include the time involved in gathering the right documents and preparing for the application. Additional delays can also be expected if there is opposition to the trademark. Formal examination of the trademark application: The new policy will shorten the formal examination period from two months to one month. This examination process decides whether the application conforms to format requirements. Substantive examination of the trademark application: The substantive examination period has also been shortened – from eight months to six months. This examination decides whether the trademark is substantively registerable, upon which the authorities will announce the preliminary registration or send a notice of rejection. Examination of trademark assignment: The time period for the examination of trademark assignment has also been shortened to four months from six months. Examination of trademark amendment and renewal: The time period for trademark registration information amendment and term renewal has been shortened to two months from three months. While the new policy does not amend the Trademark Law, it is expected that examiners will speed up their review processes to address the backlog at the CTMO. To achieve the shortened examination times, the CTMO has established several trademark examination assistance centers in cities outside Beijing, including in Guangzhou, Shanghai, Chongqing, Jinan, and Zhengzhou. In addition, there are trademark application receiving counters in Ya’an of Sichuan province, Taizhou of Zhejiang province, and Harbin of Heilongjiang province. Legal experts, however, worry that the shortened times and complex examination procedures could result in poor decision-making by authorities as the CTMO is known to be short-staffed overall, despite establishing the new assistance centers and application receiving counters. Trademarks in foreign languages are particularly vulnerable in this regard. Errors in review or rejections may expose foreign applicants to litigation or infringement in the future. 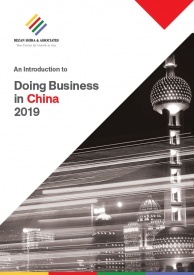 Foreign applicants must therefore think ahead – by at least two years – if they wish to protect their business from trademark violations and infringement in the Chinese market. Hiring appropriate counsel is recommended.